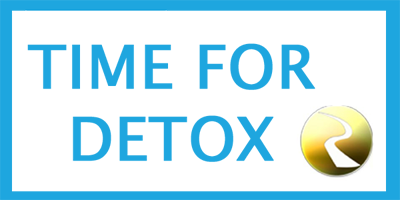 Rapid Opiate Detox and Naltrexone Clinics in Europe and UK » Heroin addiction get help from NHS or a Detox Facility abroad? If you find yourself being addicted to heroin and you want to stop, you can ask your GP or local drug treatment service for help. You can also get a treatment abroad as sometimes it may be faster and cheaper solution. As someone with a drug addiction you are entitled to the same confidential NHS care as anyone else who has a health problem. How to get treatment for heroin addiction? Heroin is an opiate drug. Other opiate drugs include codeine, opium and morphine. If you need treatment for addiction to heroin or another opiate drug you can either see your GP or contact your local drug treatment service. You can also search for a Drug Detox Facility abroad. They will also ask you for a urine sample. This will be tested to confirm that you are using heroin. You'll be given a key worker who will help you put together a personalized treatment plan. You'll meet your key worker regularly throughout your treatment. Always go for a detox as maintenance therapy is just switching to methadone, subutex, suboxone, buprenorphine which make you even more addicted and harder to get off than from heroin. Heroin detox allows you to get clean from heroin and maybe start with Naltrexone maintenance for starters. Detoxing from heroin at a medical facility usually takes from 5 to 7 inpatient days. If you're also addicted to alcohol or other drugs, such as benzodiazapines, you'll be offered support with stopping these as well. Detox lowers your tolerance to heroin. Your risk of overdosing is higher if you take heroin after detoxing. Therefor a better solution may be to choose a right Heroin Detox Facility abroad at affordable costs and stop using heroin once and for all. The first step would be to write and e-mail then answer the questions in regards to your drugs abuse history and health situation. Then receive all the needed information to help you decide traveling for a heroin detox treatment. The next step would be making sure your passport is valid, choose the dates, book the flights. You will be collected from the airport and transferred to the chosen heroin detox facility. In 5 to 7 inpatient days, you’ll be completely free of your heroin habit, maybe have a Naltrexone implant to stop you relapsing and start rebuilding your life.